Some professions require a 12-hour shift or an all-day work on their feet. These professions are often in the medical field or in the teaching career such as nurses, doctors, and school teachers. Being a teacher or a nurse is not an easy job. It is a demanding profession that requires all-day standing. Having a busy day at work, a pair of good shoes can make teachers and nurses concentrate more on their work without worrying on fatigue and feet pressure. Since must teachers and nurses spend most of their time on their feet, they will need a pair of shoes that can offer different features in order to make their feet stable, comfortable, and supported throughout the day. What to look for when buying shoes? Shoes are a good investment that needs to be taken seriously. Although some people look for outstanding design, they tend to forget that comfort must come first. When buying shoes, it is important to look for features such as cushioned footbeds, breathability, flexible soles and the more, that can give you full support and comfort and not be deceived by the look alone. Styles of shoes will depend on the owner’s preference. If you are looking for a comfortable and easy to wear shoes, then a slip-on type is the most popular. Another great choice is an athletic-sneaker type that can provide support and stability for teachers and nurses who walk around the workplace. 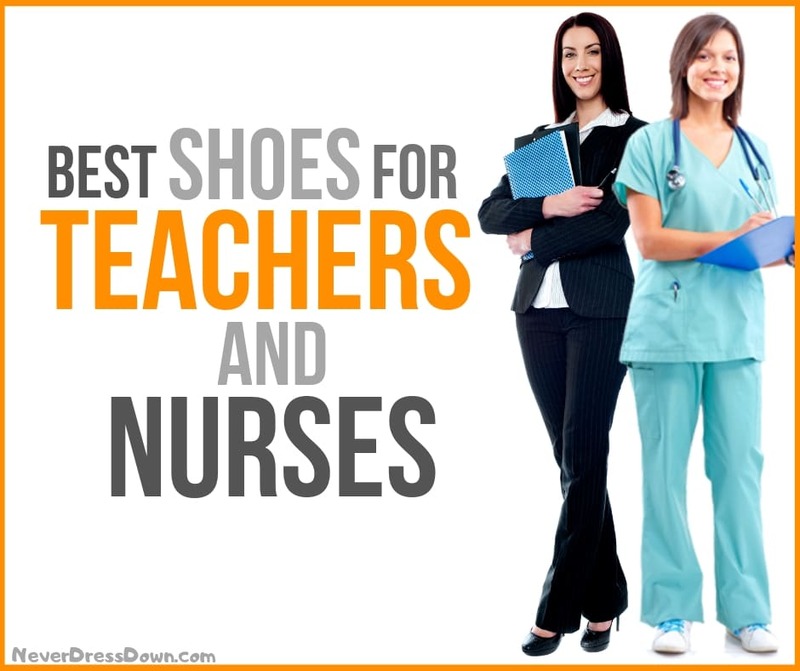 Excellent shoes for teachers and nurses must be breathable and durable. Some of the most recommended materials are leather, mesh, or patent leather for the uppers. These materials are flexible enough that they can allow the feet to move freely and received enough airflow to keep the feet dry. Skechers has been one of the most popular brands when it comes to quality shoes. Although their products are not visually enticing unlike other popular brands, they guarantee maximum comfort and durability when it comes to any type of shoes. The Skechers Women’s Work Sure Track Shoes is a great value shoe best for teachers and nurses. It is a slip-on shoe that is made of smooth leather construction. It features a slip-resistant design that can support professionals in their line of field. This shoe features a protective leather heel and toe overlays. It comes with a removable Memory Foam cushion insoles and its FlexSole is a shock-absorb midsole that is praised on their durability and comfort. This shoe guarantees that your feet will not swell unlike other brands. It does not also require any break-in use. Since it is a slip-on shoe, you can wear and remove these without the hassle of tying on untying. 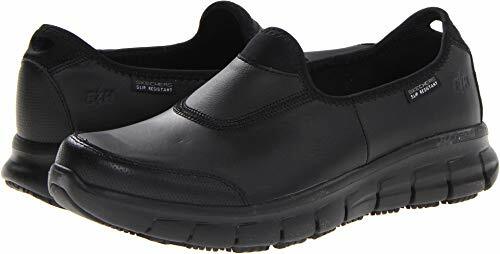 If you want a pair of shoes that can bring you comfort and support in a day’s work, then the Skechers Fit Sure Track is an excellent choice for you. The Klogs Footwear is best known for its excellent cushion and comfort fit. 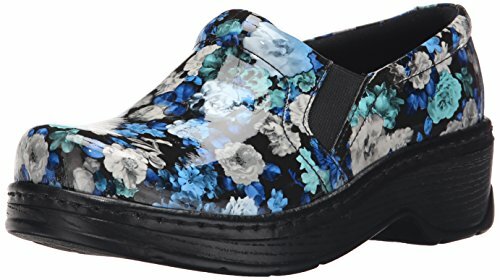 The Klogs Naples Closed-Back Clog is another excellent choice for people who spend all day at work such as teachers and nurses. It has a polyurethane anti-slip soles that are guaranteed tested and approved for any oily and wet conditions. The insoles provide a supportive and comfortable cushion. Both the outsoles and insoles are durable and ensured to last longer that is why these shoes are one of the most popular for anyone who is on their feet all day such as doctors, nurses, retail workers, and school teachers. Aside from these professions, many have claimed that the Klogs Closed-Back Shoes are good for those experiencing feet pain more particularly the old ones. The shoe provides adequate arch support for those with medium or high arched feet. The top of the shoe comes with an elastic band that can accommodate those with higher arch feet. The Klogs Naples Shoes comes in different color variation which can surely fit anyone’s preference. 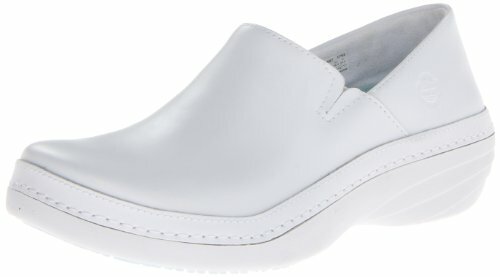 The Timberland Pro Women’s Slip-on Clog is another popular shoe for standing all day. It features an Anti-Fatigue Technology and heel-to-sole rocker soles that can guarantee extreme comfort and protection and reduce the pressure on the feet. These shoes are most loved by women in the medical profession as well as school teachers. They are designed to provide maximum support and comfort for a long day work. Since this is a slip-on shoe, you can easily wear and remove them conveniently. If you are on your feet all day, then this Timberland Pro Women’s Clog is a must have. This pair of shoes is made for people who are prone to stand or walk all day. They provide ultimate cushioning to keep the feet comfortable and supported. The Timberland also boasts anti-odor technology that can control the odor inside the shoes and give a fresher foot environment. The shoes are lightweight yet made of sturdy materials for support. Lastly, the footbed supports the heel and provides reliable arch support and energy. Selecting the right pair of shoes when working is very important especially in the teaching and nursing profession which requires a whole-day standing or walking. When your shoes cannot provide comfort and support, people may experience pain and strain on the feet which will greatly affect performance at work. To avoid this, it is vital to keep in mind that shoes are a good investment that people should carefully consider when buying.